Game Crazy, which shuttered numerous locations earlier this year under its parent company's bankruptcy reorganization, will now liquidate and then close all remaining stores beginning in two weeks, according to the store director of one in Oregon. Posting a goodbye notice on Craigslist yesterday evening, the manager, identified as Glenn J. said that "In approx. two weeks ALL Game Crazy and Hollywood Video stores will be entering liquidation." The manager says liquidation firms are bidding on the company's assets and when that's done, the going-out-of-business sales begin. The remainder of the post includes a long thank you to the store's customers, and information for customers who hold pre-orders or store credits. I've sent a request for comment to a general-purpose email address for Game Crazy's parent company, Movie Gallery Inc., and when stores begin opening in a few minutes I'll call this one in Bend to confirm what, at first blush, looks like a legit post. Update, 11:09 a.m. I spoke to the Bend, Ore. store director by telephone and he confirmed everything in the post under his name is accurate. 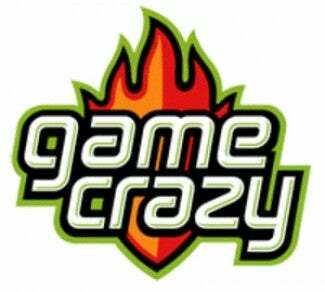 For consumers, Game Crazy was the closest thing to a competitor to GameStop, so they lose one alternative. Near term, however, if one is near you a liquidation sale should offer some bargains on current games and hardware. "However expect by the time they begin some of our stock may have been shipped out," writes Glenn J. "and expect much of the 'better stuff' to go fairly quickly, so don't expect the good/decent/rare(er) games to last past the first or second weeks."